Is it time to get beach body ready yet? I started 2018 with a recommitment to my health and fitness. I say recommitment because I let things go by the wayside this past year. I was quite successful after adopting a clean eating focus to my diet and consistent workouts at the gym. Then I just gave up on it. The Smoothie bandwagon was not something I jumped on in the beginning. Until my Mom made me one with her Blendtec blender. 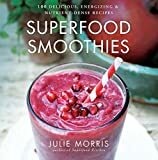 Now I’m a big fan, but I realized the perfect smoothie is about having the right blender. 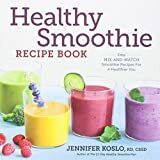 Not all these units produce the same results, so I prepared a list of the best blenders for making smoothies and shakes. When buying a blender, it is best to understand how you plan on using it. 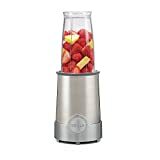 The blenders on the market today are perfect not just for making smoothies but hot soups, frozen treats, baby food and sauces. The right blender can replace a number of your kitchen appliances including juicers, coffee grinders, mixers, bread makers and more. 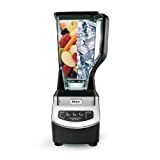 My first blender was a cheap personal bullet blender, and I think my lack of enthusiasm for smoothies was because I had the wrong mixer, to begin with. So after drinking my mom’s offering, I decided to do some homework. 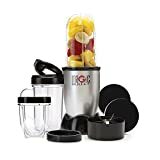 What is the primary use of this blender? How much power do I need? Choose a unit with at least 500 watts of power and an ice-crushing blade for frozen treats and hard blending. Do you need both hot and cold settings? Do you require multiple processing types? Is the jar glass or plastic? 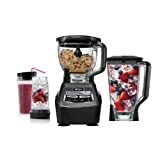 Are parts of the blender machine washable? How big is the unit? Easy to store or counter space required. When I saw it at Costco on sale, I knew I just had to have it. Some of you may have heard about Blendtec as the company that claims it can blend anything. There are videos online showing people blending nuts and bolts, phones and more. 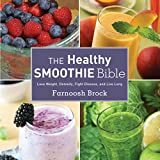 For healthy eating and making a smoothie, what you need to know is that it combines ingredients like a dream. 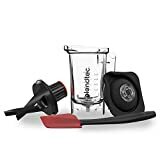 Blendtec has many models which range in price but what you should be thinking about when buying one is what kind of smoothies or shakes you are going to make. 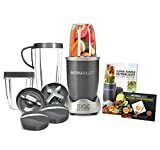 If you are big on crushed ice and frozen ingredients, or hard root vegetables, you want a blender with a lot more horsepower. If you are like me and make mostly liquidy shakes, then one of the lower models (which still can handle ice when you want it) will be sufficient. 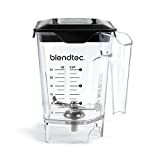 What I love about the Blendtec Total Classic Blender is that it has a hot function which allows me to blend soups as well. There are six blending cycles which include batters, crushed ice, ice cream, juice and hot soup. So if I’m blending nut butter, soups, mouses or cocktails this is an all-in-one appliance. The plastic jar and lid on my Blendtec blender can go into the dishwasher. Which I love! It makes it super easy to clean. 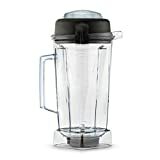 The final selling feature for me when comparing it to Vitamix. 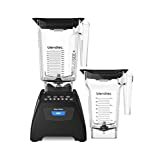 As popular as Blendtec Vitamix blenders tend to top the best of blenders lists and since I was debating about purchasing one when shopping for my blender I had to put it on the list. Like Blendtec, there are many models to choose from, and again the model you choose will depend on the type of smoothies you make. When choosing between Vitamix or Blendtec, it comes down to price and the features you want. For me, I didn’t like the tamper tool which you stir the ingredients inside your blender while you are mixing. I also didn’t like that you had to run the mixer with soap and water to clean it. But people swear by the wand and don’t mind hand washing their jar after they blend. It comes down to your preference. If the cost of a Vitamix or Blendtec is too much to consider then this third option seems to be a good fit. My friend purchased one, and she seems fine with it to make smoothies and shakes. 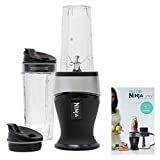 The Ninja Pro blender has bullet blender models and a professional blender model as well. It takes up less room on countertops, and some find it easier to store. 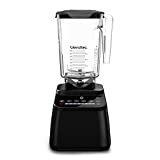 If you are not looking for a powerful blender with all the bells and whistles, then this model will probably fit all your needs. There are many blenders I don’t recommend. My first smoothie blender was a Magic Bullet. It was cheap, and its blade didn’t last very long. Even with essential ice coffee or smoothie blending. When my mom made me that Blendtec smoothie I understood the value of having a proper blender with enough power to mix all the ingredients. The difference between having a smoothie that is like a thick juice and having one that is thick with bits and pieces in it. 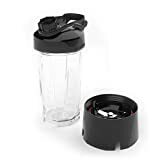 These small counter stand blenders work fine, but they don’t grind down the ingredients as well as the professional mixers especially when you are interested in using frozen ingredients and ice. Disclosure: This page may contain affiliate links. Clicking for additional information or to make a purchase may result in a small commission. For more information read our disclaimer.